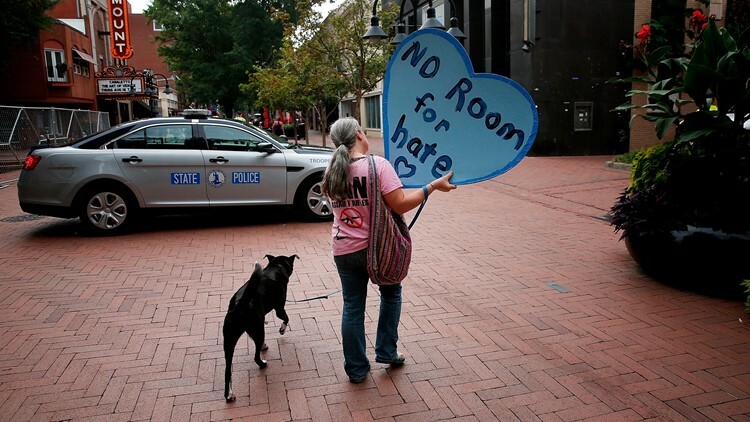 Charlottesville marked one year since last summer's white supremacist violence with largely peaceful vigils and other events. 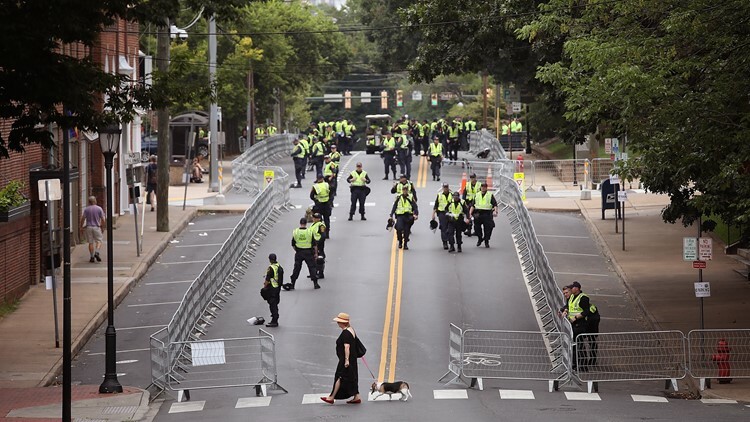 CHARLOTTESVILLE, Va. — The city of Charlottesville marked the anniversary of last summer's white supremacist violence that sent ripples through the country with largely peaceful vigils and other events, but police had a brief, tense confrontation with students angry over the heavy security presence there this weekend. Members of the Virginia State Police patrol outside the park where a statue of Confederate Gen. Robert E. Lee is located August 11, 2018 in Charlottesville, Virginia. 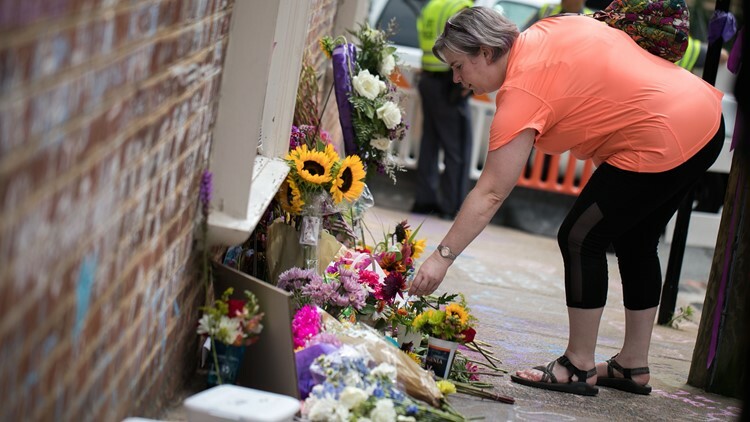 A woman places flowers on a makeshift memorial dedicated to Heather Heyer off the mall in downtown Charlottesville, Virginia, one-year after the violent white nationalist rally where Heyer was killed and dozens of others were injured. Mary Grace, from Durham, North Carolina, walks through the downtown mall area August 11, 2018 in Charlottesville, Virginia.